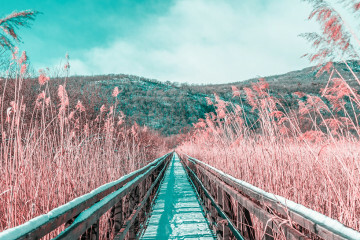 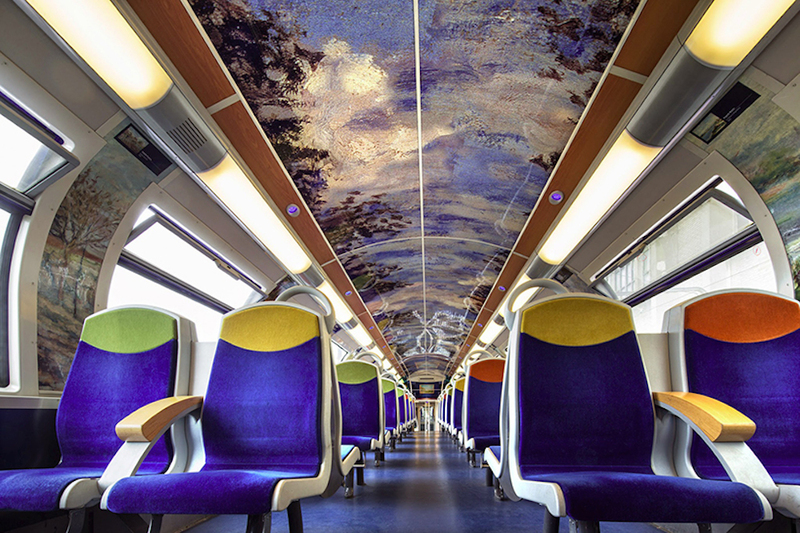 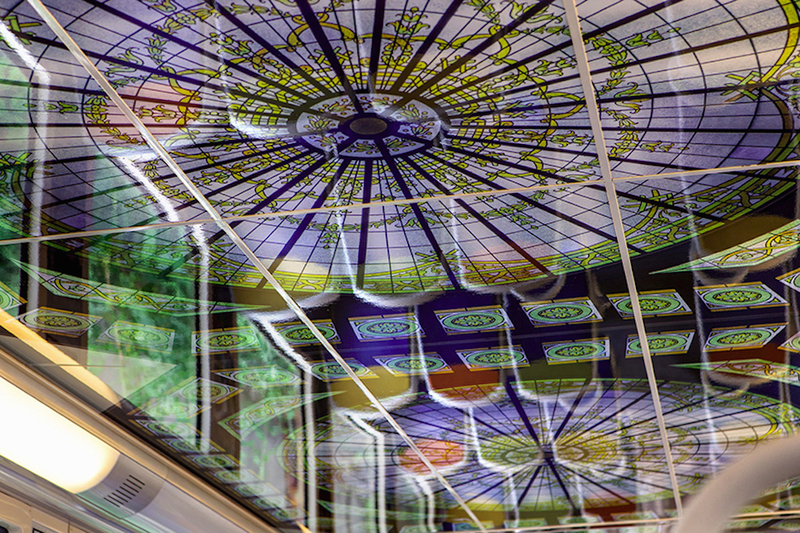 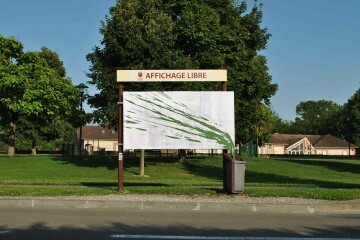 In an effort to bring world famous art to the masses, SNCF — France’s national state-owned rail service — has applied renowned impressionist art to one of the most heavily trafficked locations in the country: its public train system. 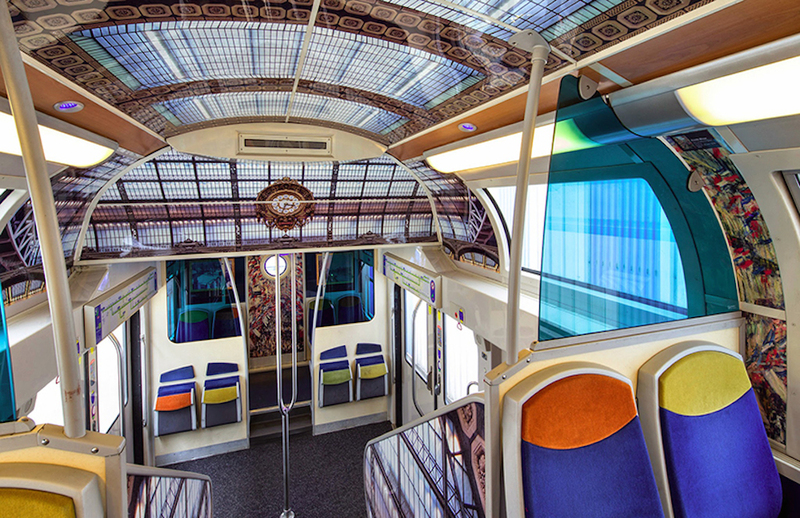 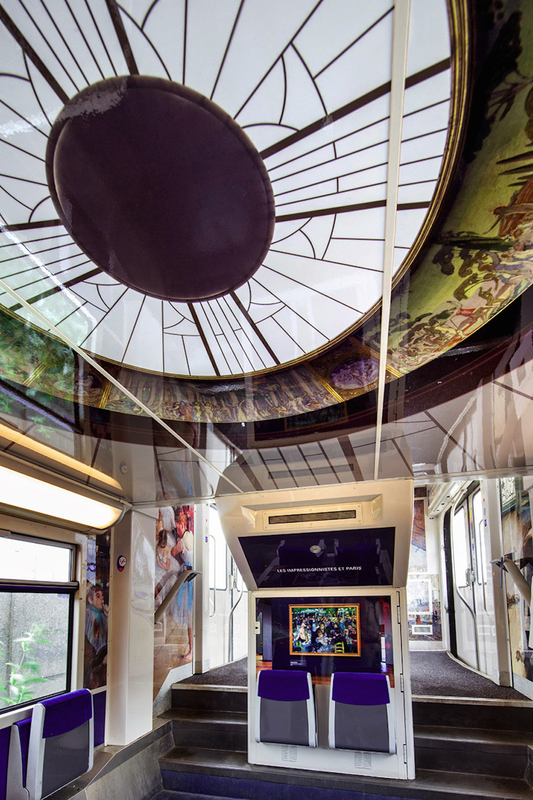 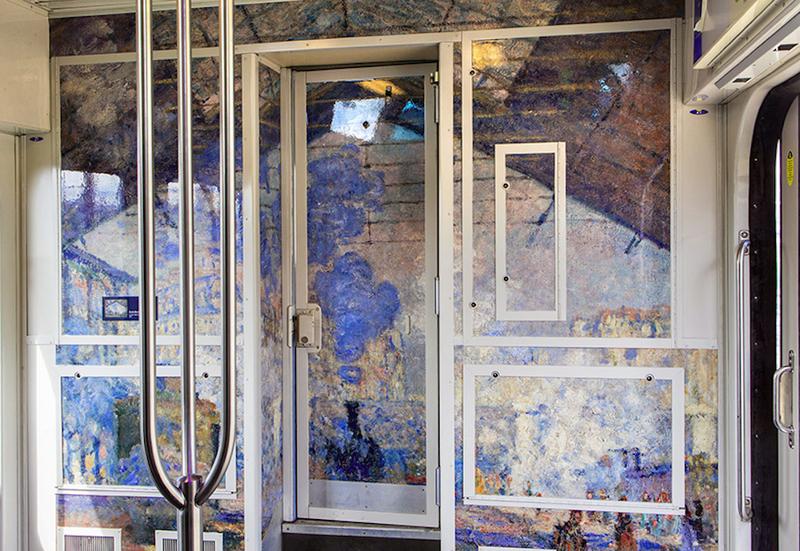 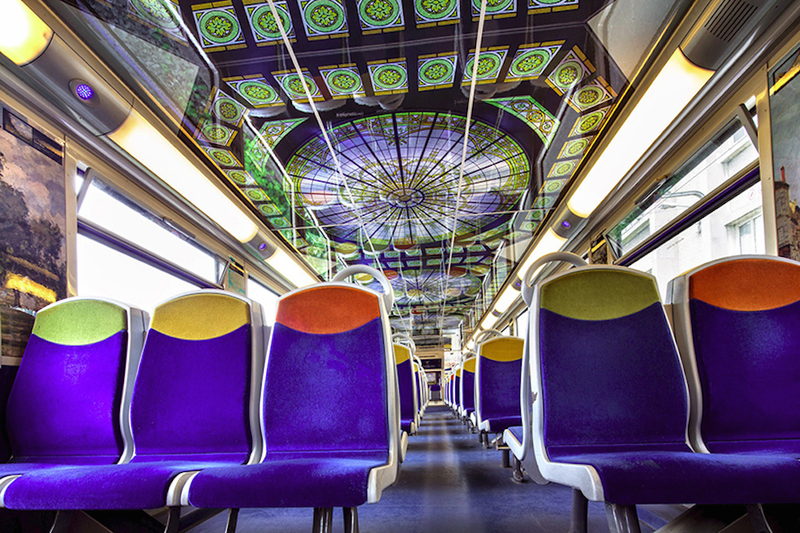 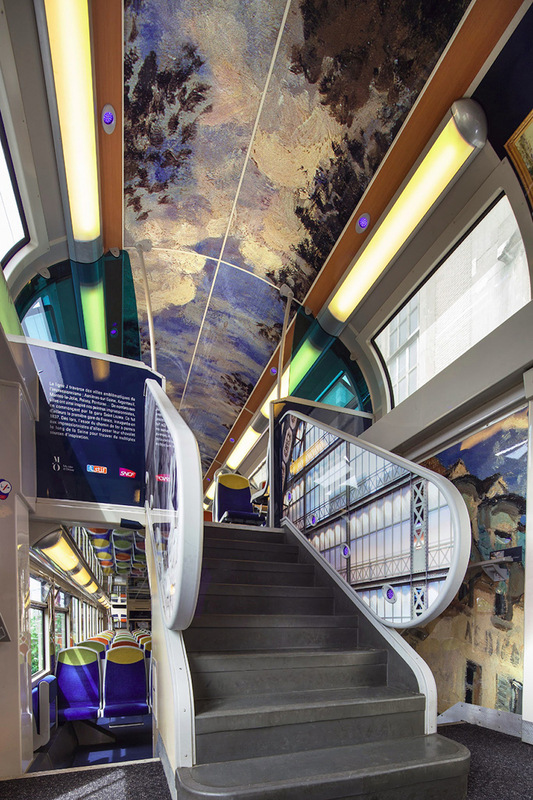 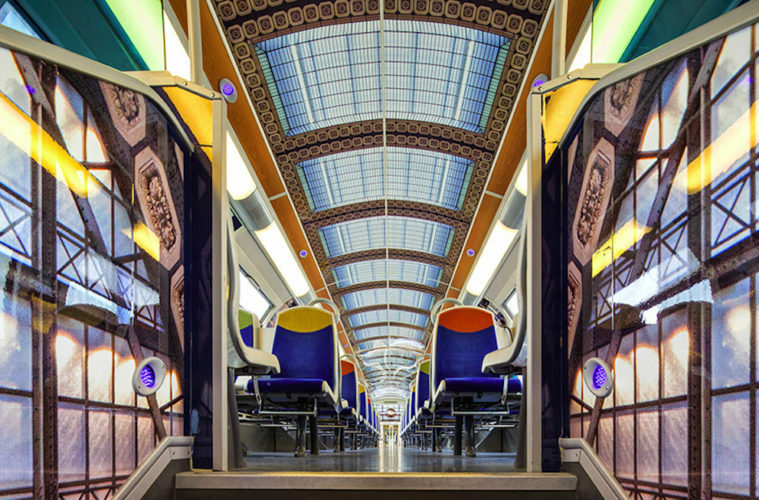 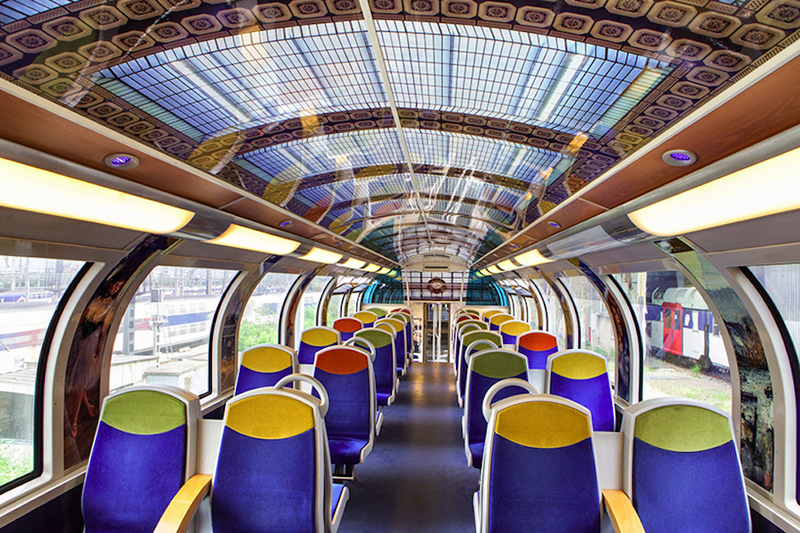 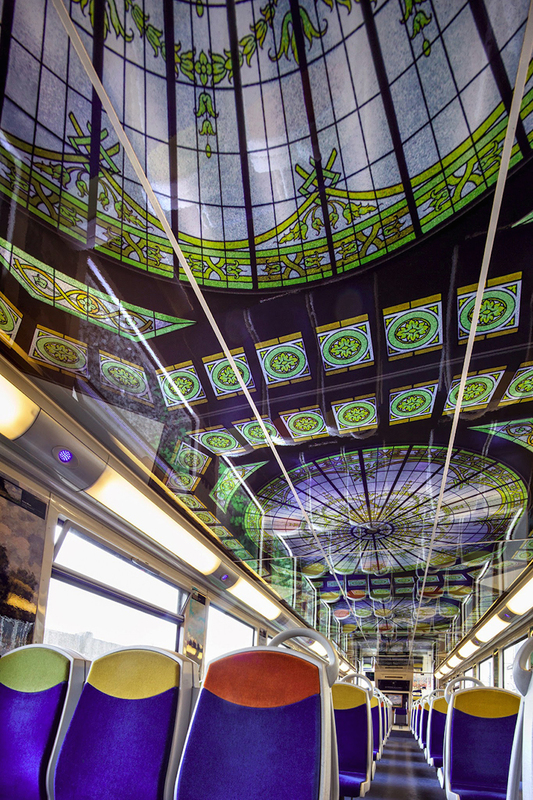 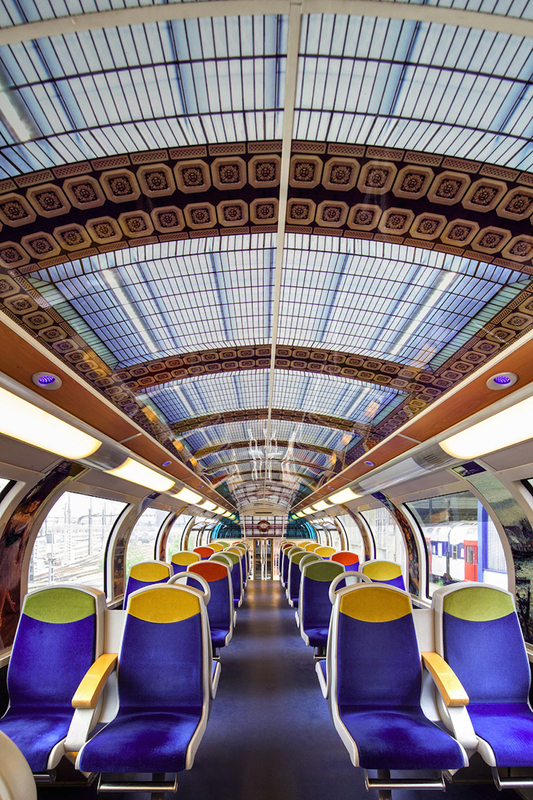 In collaboration with 3M, the interior of a commuter train has been covered with graphic film that mimics impressionist art from the Musee d’Orsay; an imitation of the architecture of the Palace of Versailles and images from Cinema Gaumont — the oldest film company in the world. 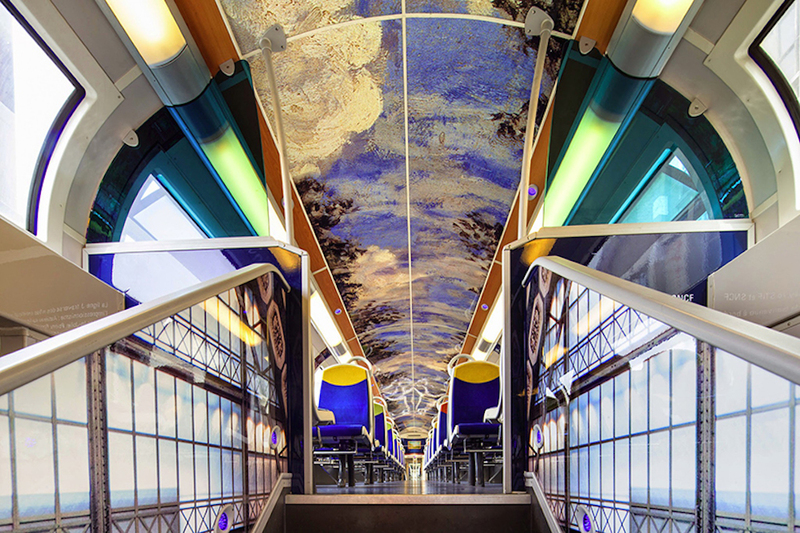 During their commute, passengers can admire ‘Morning, Sun’ by Camille Pissarro, Claude Monet’s ‘Blue Water Lilies’, or the vibrant stained glass wall of the Musée d’Orsay.